While New York mulls a ban on single-use plastic bags, San Francisco just took another step forward. Now in the West Coast city, which already has a bag ban in place, it is possible to recycle plastic bags and other clean, dry film and flimsy plastic such as plastic wrap! To help get the word out, Great Forest client the W Hotel launched a terrific campaign that stretched into Earth Day to get their staff to recycle plastic bags and film. James Bernard from Great Forest’s San Francisco office worked to inform staff how to recycle those bags, sharing specific instructions from Recology San Francisco, the company that processes the city’s waste and recycling. 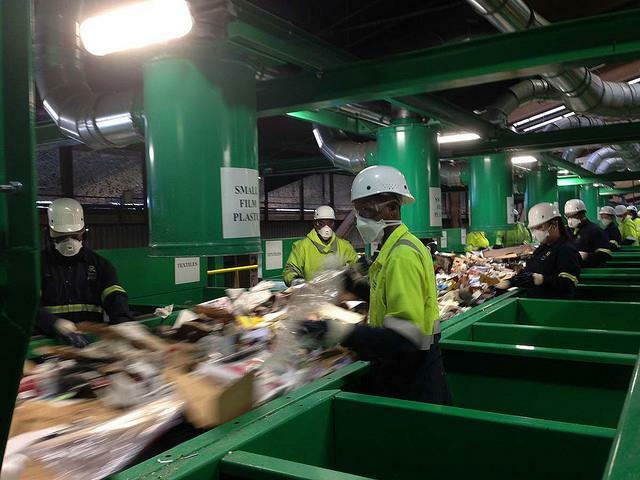 The 3-step process (shown above) ends up creating bags of bags that can then be processed for recycling by Recology. James demonstrated how to do this using clear exterior bags so the the recycling workers can see what is inside for proper sorting. 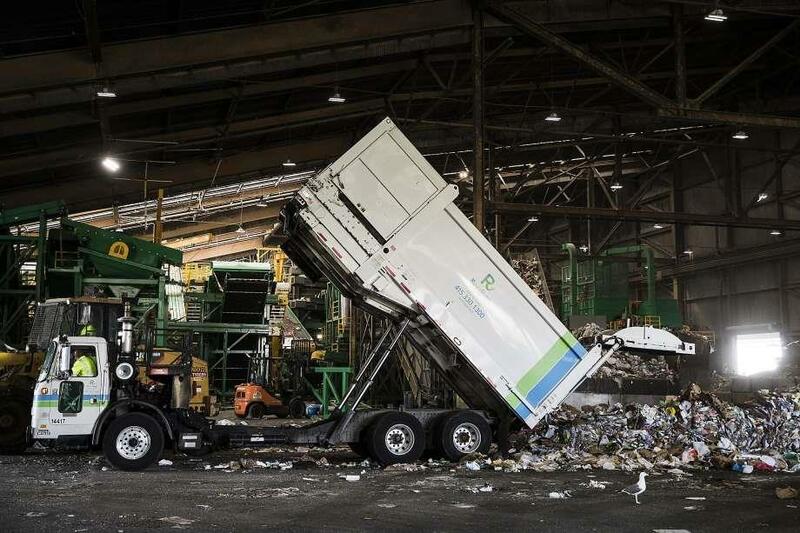 “Getting in front of people and showing them how to recycle properly helps because it reinforces the signs and instructions they see,” says James. “And I know it works because I walked through the hotel the other day and saw a laundry steward pulling clean bags out of the laundry pile and making a bag. Hopefully this will become second nature to them,” says James. 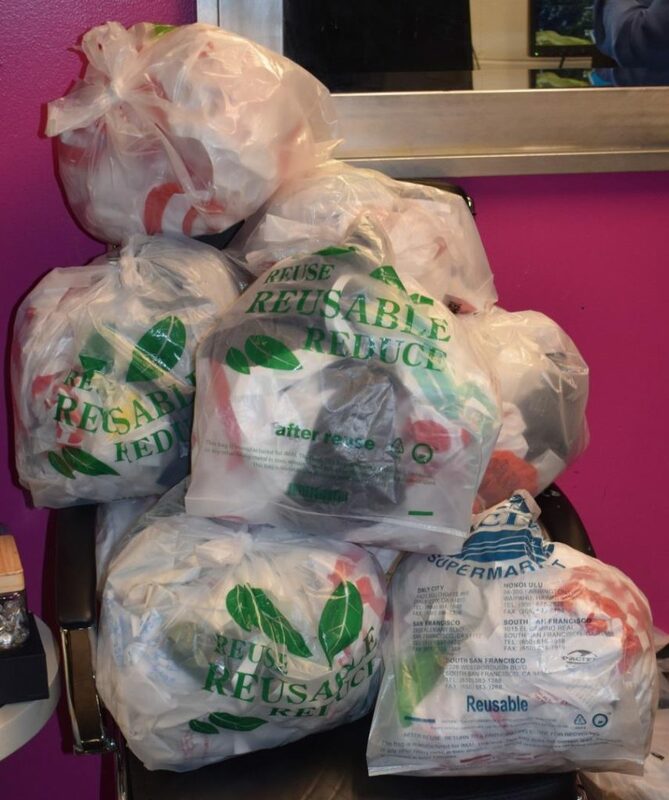 Bags of clean plastic bags ready to go into the recycling bin. 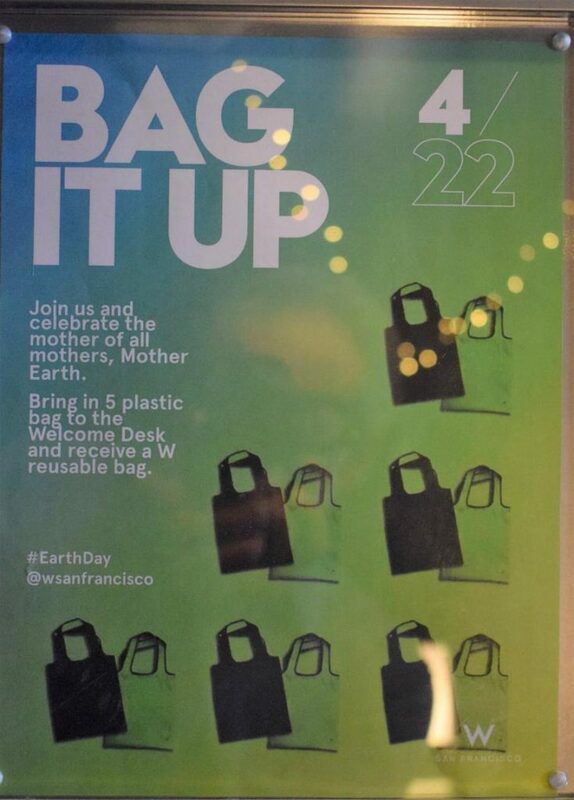 To motivate staff, Leila Reyes Castro, Director of Style at the W Hotel San Francisco, offered her housekeepers an incentive: recycle five plastic bags and receive a W hotel re-usable bag! The W even extended the offer to hotel guests for Earth Day. We spotted this little display to keep the plastic bag conversation going. The plastic bags collected at the W are transported to Pier 96 on San Francisco’s southern waterfront for processing at Recycle Central, a state-of-the-art facility constructed by Recology San Francisco to separate mixed recyclables into different commodities for sale to recycling markets. Here, at the first sorting station along the conveyor belt, workers pull out the plastic bags and feed them to a special tube designed to catch and transport them for processing in another part of the facility. Congratulations to the W for taking the lead. How To Recycle Plastic Bags In Other Cities? California is the only state to have imposed a ban on single-use plastic bags but others are considering following their lead, including New York. Across the country, many municipalities have banned plastic bags or imposed fees to discourage their use, including Austin, Texas, Chicago, Boston, and Seattle. However in many other parts of the country, plastic bags are not only readily available, they also CANNOT be placed in recycling bins because the loose bags tend to get caught in sorting machines at recycling facilities, jamming and damaging the equipment. So what can you do? RECYCLE ELSEWHERE – Bring your plastic bags to collection bins located at most grocery stores. The website, www.plasticfilmrecycling.org, lists a directory of where plastic bags and film are recyclable in your area. 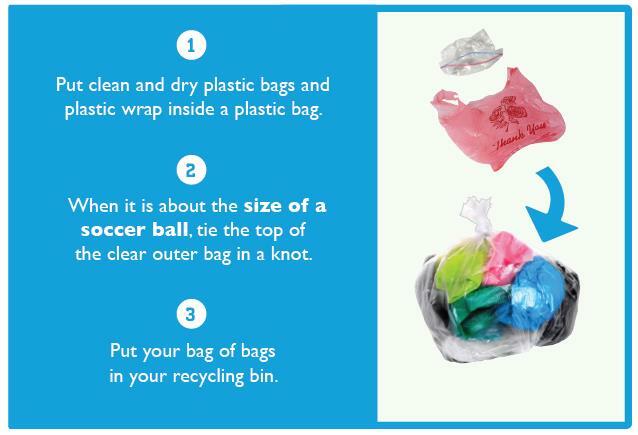 REUSE – Besides recycling, you can and should also reuse those plastic bags. REFUSE – What’s best is to refuse plastic bags in the first place. Bring a reusable bag. Well, plastic pollution is a real threat. Millions of animals die because they ingest plastic bags or become ensnared in plastic packaging and other plastic items. The ocean is filled with trillions of microplastics that end up in seafood that we consume. One study found that 94% of drinking water samples in the U.S. revealed the presence of plastic fibers. Recycling plastic bags and film will also save resources. 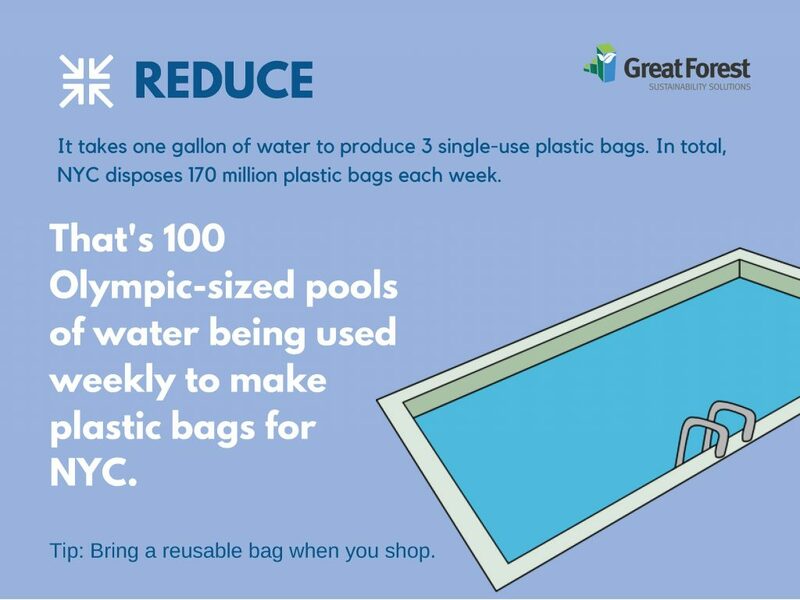 See how much water is used to make all the plastic bags used in NYC each week! This entry was posted in All, Spotlight and tagged hotels, plastic bags. Bookmark the permalink.